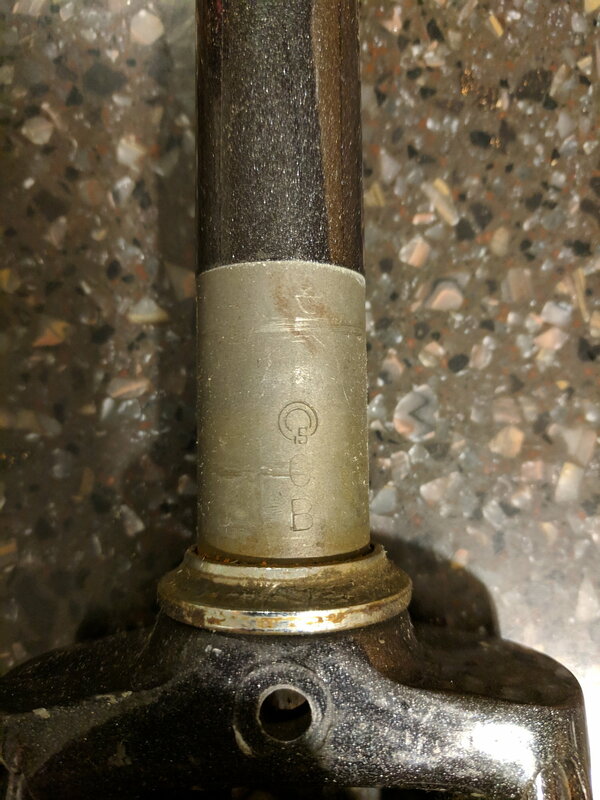 I just bought this fork off of eBay and noticed these markings on the steer tube. Any ideas as to what the top symbol is? This was listed as a fork from a 1978-1982 Trek. 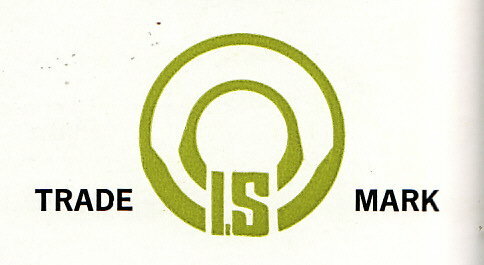 The top symbol (logo) indicates the fork was made by Ishiwata. If the other stamp is 0B then I believe that indicates a Feb. 1980 mfg. date. I never cease to be amazed how someone knows the answer to EVERY question! WOW! Perfect! I figured that this was an Ishiwata fork since it was listed as having 58mm offset (I assumed 55mm), but I couldn't find that maker's mark from any Google searches. I know! That's why I spend so much time here! It's easier to remember the trade mark once you realize that the symbol is a stylized cross-section of a double butted tube, bent into a circle (which is symbolic of bicycle wheels). This isn't apparent from the steerer tube stamp but depicts better on the catalogue sheet. However, it's easiest to see on earlier versions of the trade mark, where the butts are more exaggerated. Last edited by T-Mar; 12-07-18 at 06:59 AM.